On Saturday, September 16th, Madeline Dale was the very first high school presenter for the local Pecha-Kucha group. A Pecha-Kucha Night is a fun filled event for presenters to share their ideas, thoughts, and projects. The presentation is formatted in a 20X20 style with 20 seconds of live narration for each of the 20 slides. As a Lakeshore High School junior, Madeline is in her third year of participation on Team Lance-A-Bot. She presented, "FIRST Robotics Competition: Building the Next Generation of Thinkers, Tinkers, and Leaders One Robot at a Time," for about 200 people at The Livery in Benton Harbor. Madeline shared how the FIRST Robotics community is helping to build future technology leaders by using her own team and personal experience. As an example, FIRST is taking the world by storm with programs for students in Kindergarten through Grade 12. On Friday, March 9th and Saturday, March 10th Team Lance-A-Bot competed at Saint Joseph High School. We were ranked 12th with a record of 9-7-0. During alliance selection we were picked by the #4 Alliance, Team 2337 - EngiNERDs, and then picked Team 288 - The RoboDawgs. Milkman (our robot) made it through the quarterfinals, but lost in semifinals. At the award ceremony, we won the Industrial Design Award sponsored by General Motors and won a Hard Hat Safety award, first runner-up to the safety award. Friday, March 16th and Saturday, March 17th in Gaylord, MI, we competed at our second event. Team Lance-A-Bot was ranked 4th with a record of 10-2-0. During alliance selection, we were picked by the #2 Alliance, Team 3618 - Petoskey Paladins, with Team 6573 - Alanson Viking Brobotics as our third pick. Milkman (our robot) made it through the quarterfinals, but lost in semifinals. At the award ceremony we won two awards: the Quality Award sponsored by Motorola Solutions Foundation, and the Safety Award sponsored by Underwriters Laboratories. 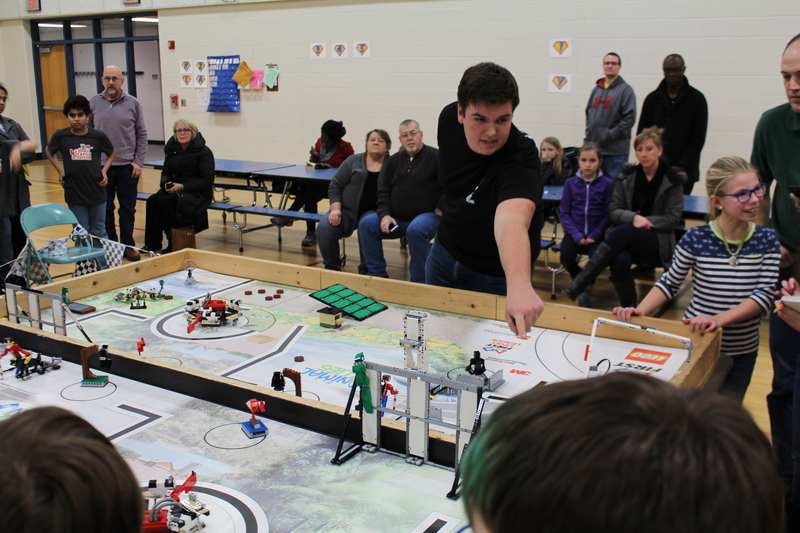 Lancer-Bot-Mania is an event that the Lakeshore Robotics Team hosts in order to help spark ingenuity within the younger elementary kids, allowing them to demonstrate the basic values and goals of FIRST robotics. There were 24 teams that came to participate in the competition, and we had help from other FRC teams in the area. The experience FLL provides for the kids is just as rewarding for the teams that help, giving all the student communication skills and confidence needed for success. 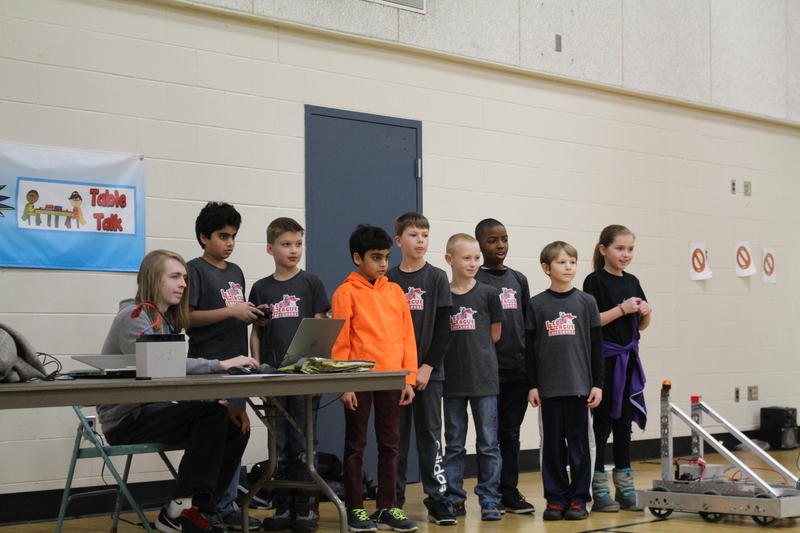 Members of Team Lance-A-Bot assisted at the event in such roles as MC, scorekeeper, team ambassador, and referees. The younger students enjoyed seeing our 2017 competition bot. Lance-A-Bot team members mentored 3 FLL teams. The LEGO Lancers, Team 32996, will be at state competition on January 20th. The LEGO Master Knights, Team 34288, won the Programming Award. LEGO Lance-A-Bot, Team 32995, enjoyed competing and proved to be very good at making puns for fun. All three teams were rookies this year. 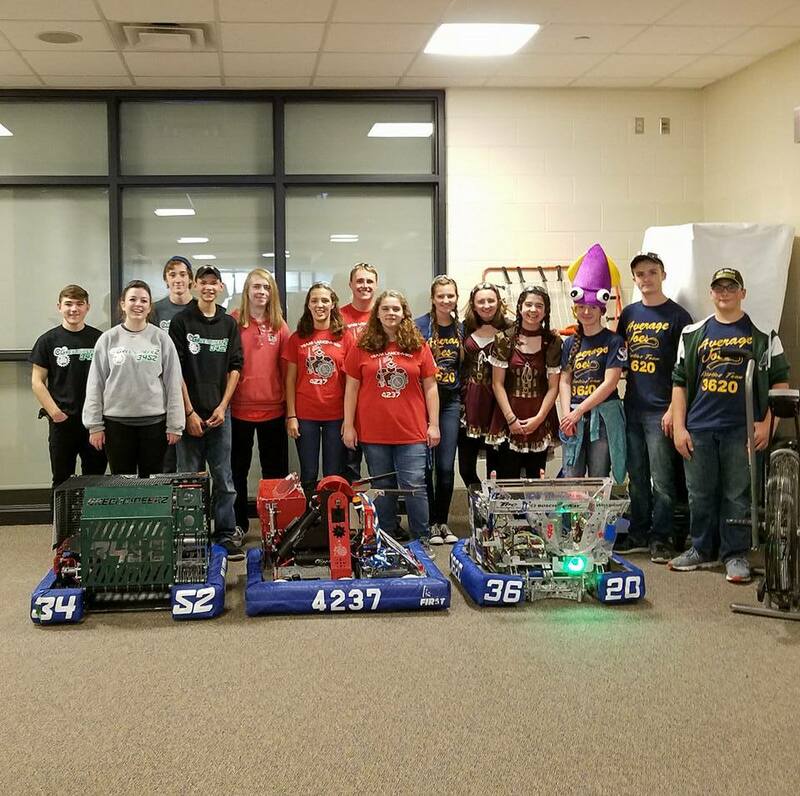 In the fall of 2017, Team 4237 attended WMRI Competition at Zeeland West High School on October 28 along with 38 other teams. This competition allowed the team to compete for fun and new team members to experience things for the first time. At this competition, the team made it to the play-offs and was on an alliance with two other Sunset Coast Alliance members, Team 3620, the Average Joes and Team 3452, the GreengineerZ. Team Lance-A-Bot is raising money for students' state competition costs. It will be held on Thursday, January 25th from 5:30 to 8:30 pm. The team earns a percentage of the store's total sales during that time. Hoopla is in the shopping plaza just off the I-94 ramp at Niles and Hollywood Road in St. Joe. In addition to regular frozen yogurt, Hoopla also offers gluten free, dairy free, and no sugar added frozen yogurt flavors. Team Lance-A-Bot is raising money for the team travel fund through Culver’s Share Nights. Culver’s Nights allow the host to get a percentage of the profits. Every family to attend and order something helps us achieve our goal. Our next Culver’s Share Night is February 27th. Come show your support for Team Lance-A-Bot! The Lakeshore Robotics Team, started in Fall 2011, is a project of Lakeshore High School in Stevensville, MI. We have about 50 dedicated individuals involved. You can meet them here. The FIRST Robotics Competition (FRC®) is "the Varsity Sport for the Mind™" which combines the excitement of sport with the rigors of science and technology. You’d be surprised by what’s been recalled! on the US Consumer Product Safety Commission’s website.